800 x 800 pixel album cover included with any song purchase. 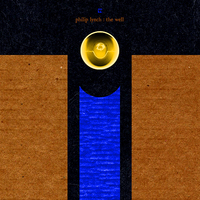 "The Well", a song written and performed by Philip Lynch, recorded and produced by James Beaudreau, and mastered by Scott Hull at Masterdisk. Originally released as part of the Four Songs EP, this version was remixed and remastered in January 2010 and posted on www.workbenchrecordings.com on January 19, 2010.